Do you ever wonder why some things are called what they are? 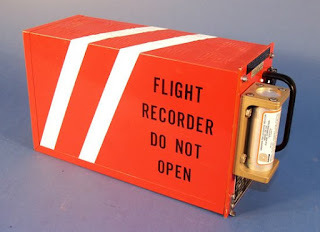 Take Black Boxes (Cockpit Voice Recorders) for example. They're actually orange, but the media always refers to them as Black Boxes. Why? A little backround will help. Black Boxes were developed in Australia in the 1950s. The original version was painted black. That may be the reason the media calls them that today. The name could also have it's origin in early engineering design philosophies, where boxes that contained electronic components were termed "Black Boxes." The simple reason they're orange today is it makes them easier to find. Speaking of oranges: quit throwing away those orange peels! Doctors recommend eating them because they're rich in flavonoids, like hesperidin and polymethoxyflavones (PMFs) and other phytochmicals, which are healthy. But wait! That's not the whole story. Inaddition, orange peel contains higher amounts of certain nutrients than its flesh. 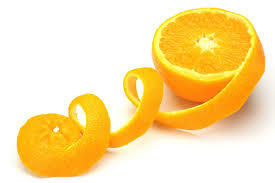 For instance, 3.5 orange peel provides 136 milligrams (mg) of vitamin C, while the flesh contains about 71 mg.
Great Idea! Eagles That Hunt Drones! How Can We Make the Anger Go Away?